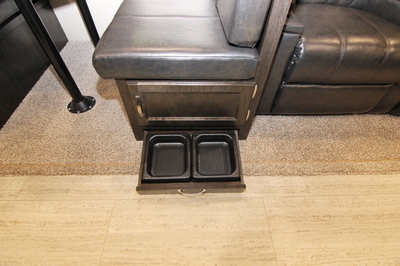 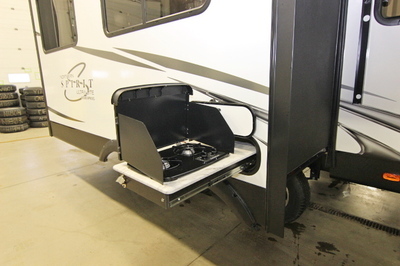 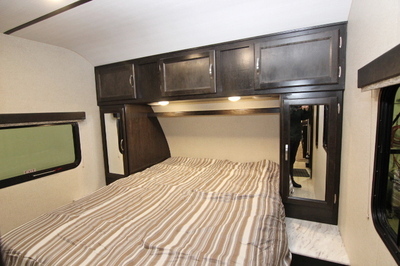 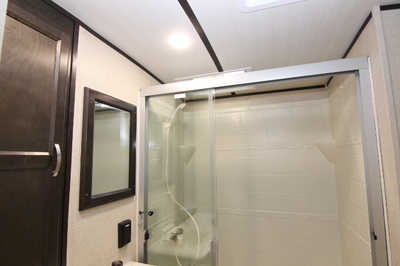 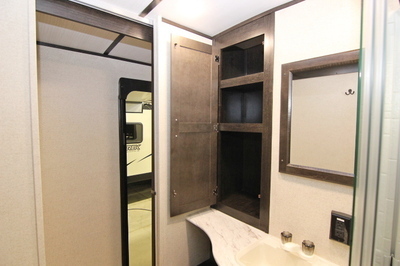 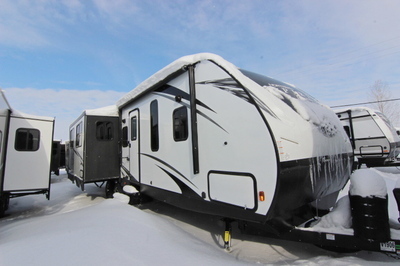 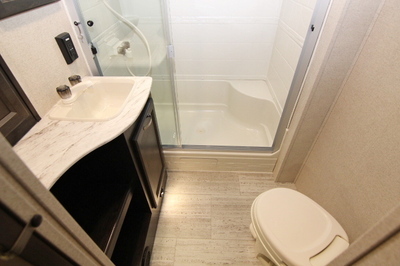 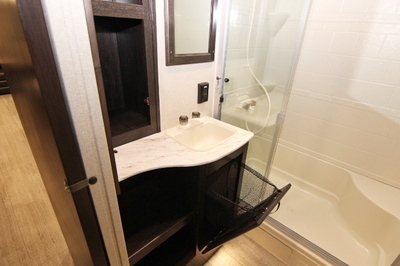 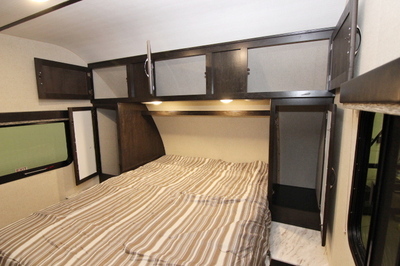 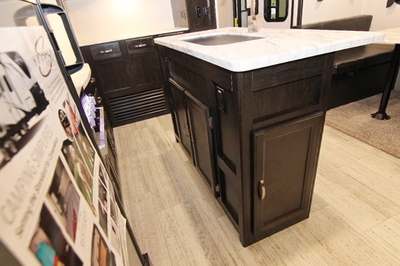 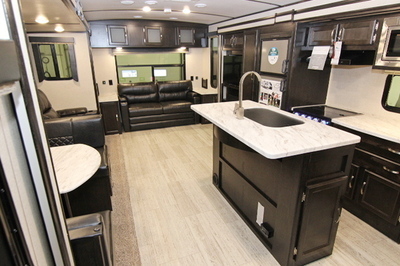 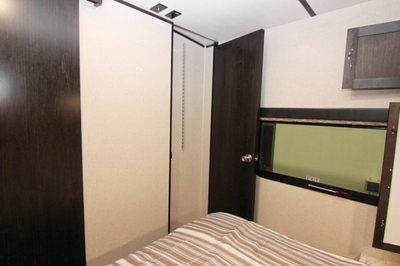 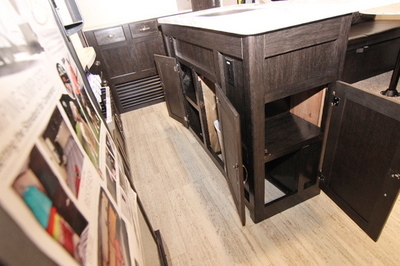 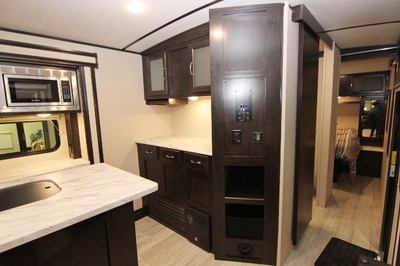 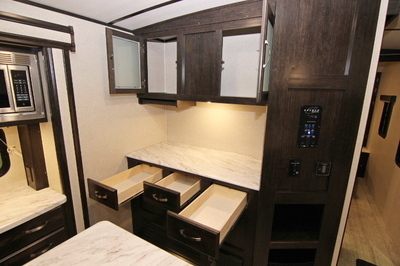 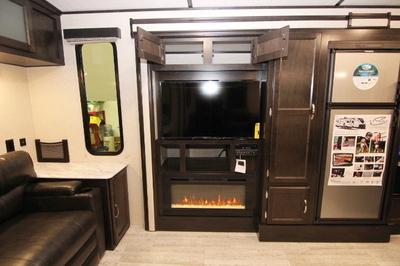 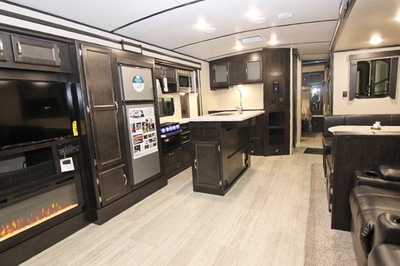 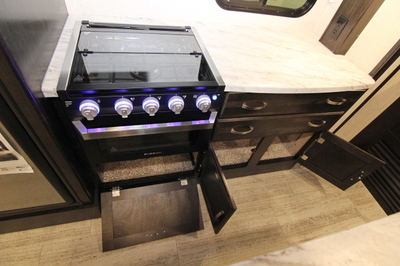 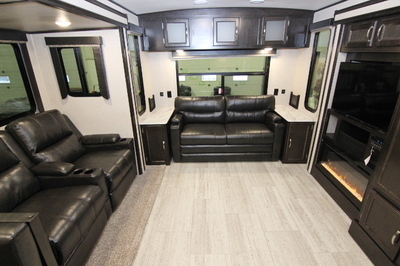 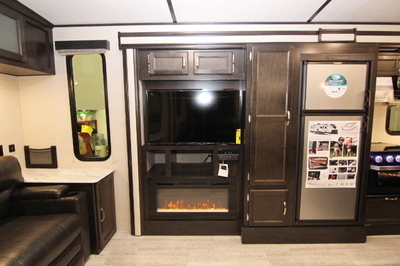 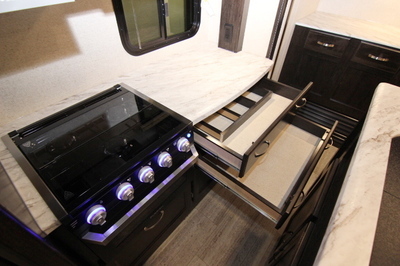 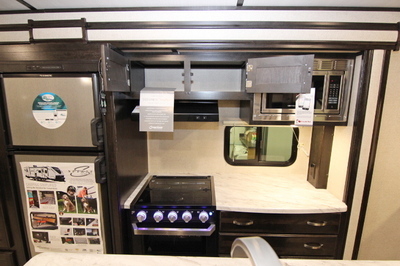 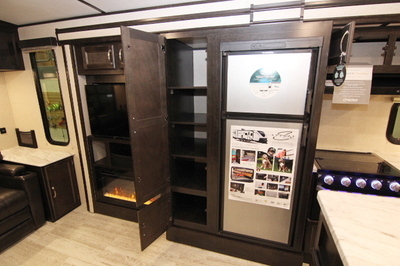 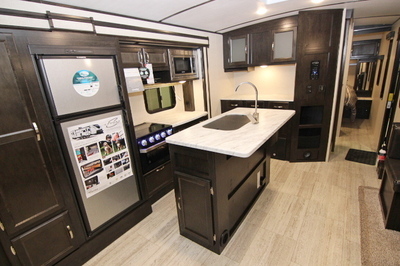 Packages and Upgrades Included with this Unit:- Camping Simplified Package, Customer Convenience Package, Tri-Fold Sleeper Sofa, Theater Seating, Pet Friendly, Exclusive to Lardners this unit has a Porcelain Toilet. 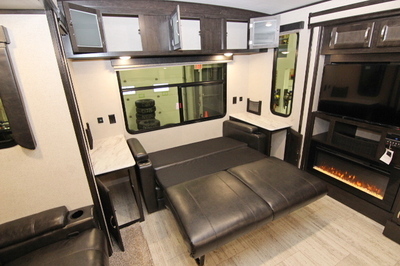 Customer Convenience Package: ¾ Gel Coat Fiberglass Front Cap W/LED Strip Lights, Aluminum Wheels,Spare Tire Kit, Power Awning W/LED Strip Light, Front Rock Guard, TV & Radio Antenna with Booster, EZ Lube Axles, Spread Axle Design, AM/FM/CD/DVD Bluetooth, LED TV, Satellite Prep, Night Shades, Microwave, Oven with 3 Burner Cooktop, 6 Cu Ft Double Door Fridge, Skylight in Bath. 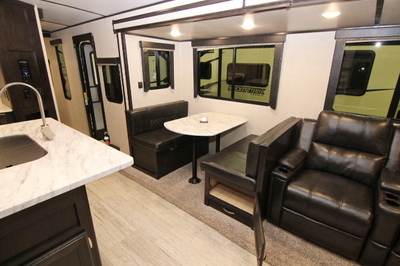 Kitchen/Living Room Features:- Magnetic Door Catches, Drip Rails w/ Downspouts, Heated and Enclosed Underbelly, Cable / Satellite Prep, Triple Entry Steps, Extended Grab Handle,Angled Stabilizer Scissor Jacks, Black Tank Flush, Exterior Speakers, Wide Stance Axles, Power Awning, Solar Prep, Porch Light, Dog Wash, Front Rock Guard, Power Tongue Jack, Spare Tire, Detachable Power Chord, 20lbs LP Tanks,Water Heater By Pass, Aluminum Rims, Maximum Stability Spread Axle Design, EZ Lube Axles.